Years ago, the Atlanta Journal Constitution ran a column each week called the 5:30 challenge. The challenge was for cooks to send in recipes that could quickly be made after work—5 ingredients put together in 30 minutes. I loved this column so much that when they came out with a cookbook, I purchased one for myself and then about 3 more for friends. 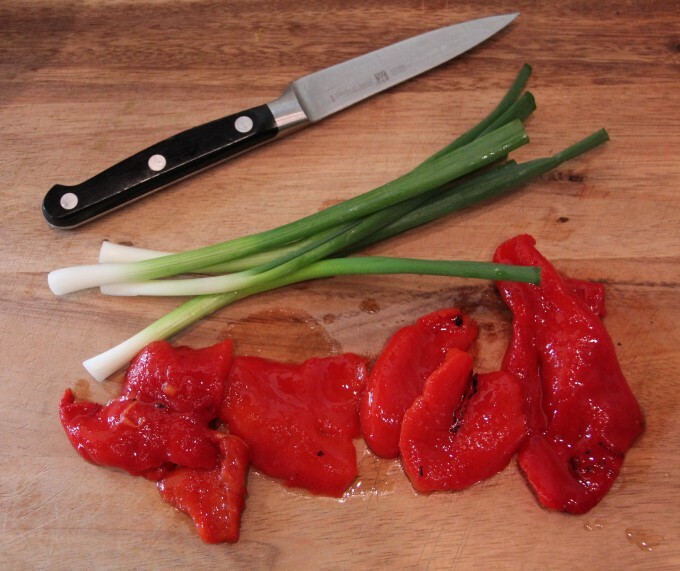 Five ingredients keeps things relatively healthy and I loved the ease of preparing those dishes. One of my favorites and probably most often made is this Black Bean Salad. I’ve adapted the recipe to suit our tastes and often throw this together for lunch at home. It’s a healthy, filling, protein-rich dish which keeps for a couple of days in the refrigerator and it’s great for a meatless main meal or as a side with fish or chicken. 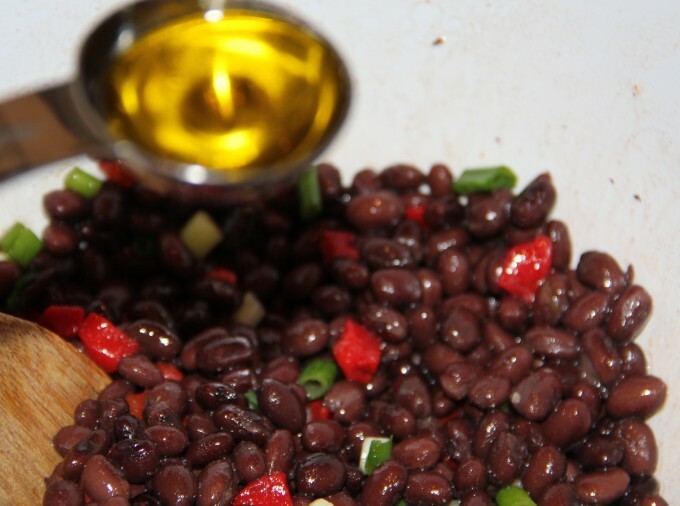 All you need are a couple of cans of black beans, cumin, fresh lime, scallions, and roasted red peppers. Salt and pepper don’t count in the 5 ingredient challenge, so add those to taste as well. Rinse and drain the beans. 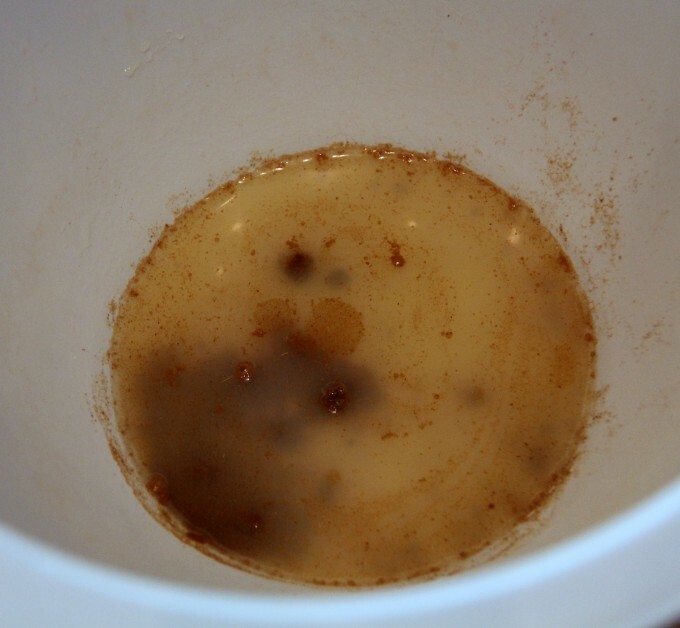 In a large serving bowl, whisk the cumin and lime juice together. Rinse and drain the beans and add to the cumin mixture. Add chopped roasted peppers and scallions and stir gently. 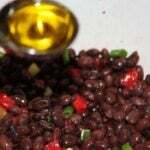 Then stir in a tablespoon of olive oil for a richer flavor. Other suggestions for additions are cubed Pepper-Jack cheese, corn, chopped celery or green tomatoes. 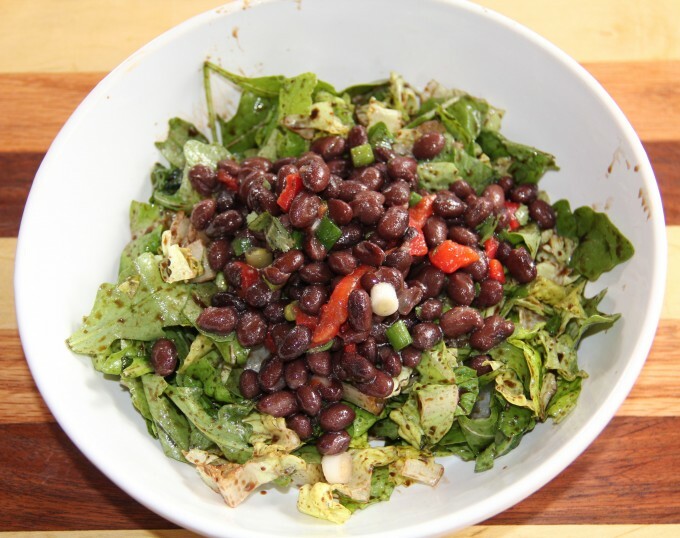 Black beans, lime and cumin make this dish a great summer lunch or meatless main meal. Whisk cumin and lime juice in a large bowl. Add beans, scallions and red peppers and mix gently. Stir in olive oil, salt and pepper. I made this yesterday. It was a big hit. I added a little dry Greek oregano, and more oil. You will not find a Greek who measures olive oil with a spoon. So more olive oil, added the corn and cheese and sliced avocado. No leftovers…. Wow, that looks good! I’m dealing with salad fatigue so, this will be a great change. ‘Can’t wait to give it a try!